The UPSC, known as the Union Public Service Commission every year organizes the Civil Services Examination or what you call the UPSC Exam to recruit eligible officers for the Civil Services of India. The candidates who have applied for it, after successful completion of the exam, can work as a civil servant in different branches of the government, for example, IRS- Indian Revenue Service, IAS- Indian Administrative Service, IPS-Indian Police Service, and more. It has seen that lakhs of young candidates appear the exam every year carrying a hope to get a job in such prestigious sector and to serve the country. But only a few get selected and are inducted into various services. That’s why is termed as India’s toughest and difficult exam. However, to make it little easy for the candidates, IAS Coaching Institute has been helping them for many years. 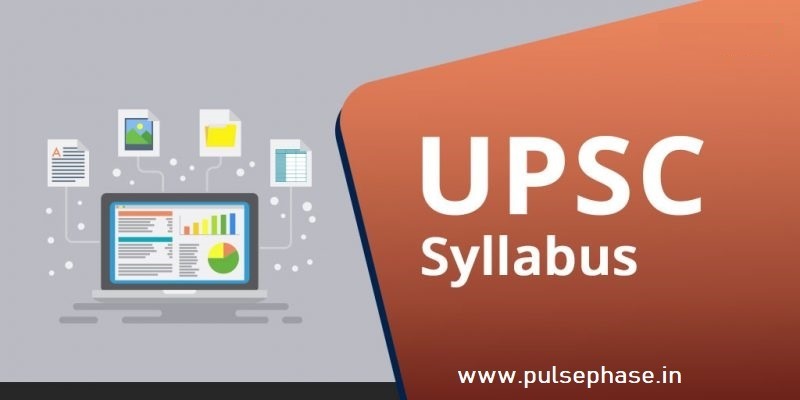 Students can go through our website to get detail information about the exam and UPSC Exam syllabus 2019. As per the report, on February 19, 2019, the UPSC will issue the notification for inviting application for its Civil Service Exam. So, don’t forget to visit the UPSC’s official site to enroll your name for the exam. You can take the help from best IAS Coaching Institutes OR experts, who will guide you in this throughout the process. Current affair related to both national and international matters. History, related to India and the national movements. Geography of both India and world. It also includes subjects like economic, social and physical geography. Indian Politics and governance, political system, Panchayati Raj, public rights, constitution and more. Economic, social development, poverty, social sector initiatives, sustainable development, inclusion, and more. General issues related to environmental, bio-diversity and climate change. Here you need to choose one of the Indian languages from the Languages from the Eighth Schedule to the Constitution. For the candidates from the Meghalaya, Arunachal Pradesh, Manipur, Mizoram, Nagaland and Sikkim, this paper is not compulsory. Paper‐I Essay and the total mark is 250 Marks. After qualifying the prelims and main, the candidates will be called for the interview. The total mark for the written test is 1750 marks. Personality test carries 275 marks. So, in total, it will be 2025 Marks. The Universities incorporated by an Act of the Central or State Legislature in India. The educational institutions come under an Act of Parliament. Deemed Universities come under Section-3 of the University Grants Commission Act, 1956. Pulse Phase is here for you to assist you in your UPSC Civil Service Exam. Besides, you can check out the IAS Exam syllabus 2019 right here and start your preparations today!